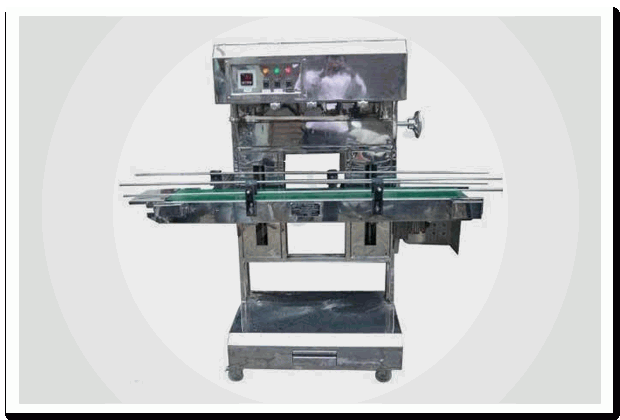 band sealer machines|manufacturers and Suppliers Mumbai, India. We bring forth for our clients band sealing machines that is used to seal pre-made pouches. These machines are robust, durable and equipped temperature controller device & conveyor belt. Simple operations of these machines ensure high productivity that helps in meeting bulk requirements of stationary and pharmaceutical industries. We Offer wide range of Bend Sealer that are designed and manufactured using high grade raw material, procured from trustworthy vendors. Further, these sealers are highly appreciated by our esteemed clients for its apprehensive features and high tensile strength. Maxi horizontal band sealers are used to perform band sealing operations in the horizontal pose. It is efficient packaging equipment the at is cost effective and known for its high performance. The sealer has a PVC conveyor belt of width 200 millimeter that is capable of carrying weight of up to 75 kilograms. It is produced by using high grade steel and castings along with epoxy powder coated body.